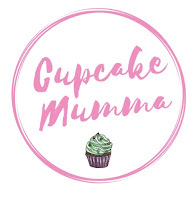 Cupcake Mumma: Review: Zoflora Disinfectant + 34% off Good Housekeeping Magazine! 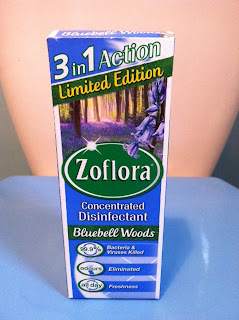 Review: Zoflora Disinfectant + 34% off Good Housekeeping Magazine! I'll be honest, when it comes to cleaning I'm the kind of girl who grabs an anti bacterial wipe to clean the floors, cupboards, sinks and anything else I can possibly wipe over. 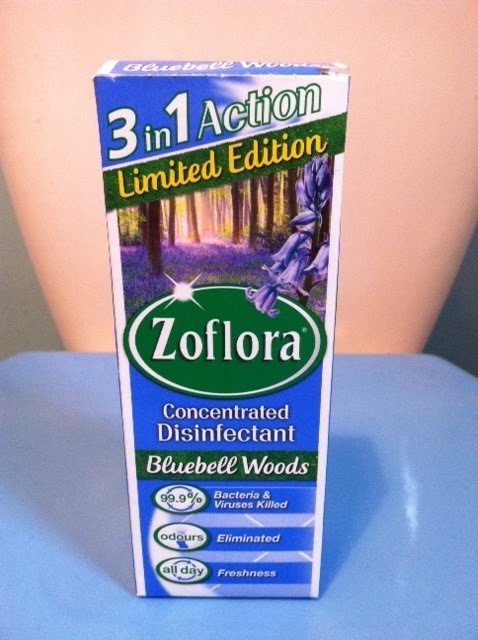 I have used disinfectant only a couple of times in my life and never enjoyed the smell afterwards but when Zoflora got in touch to ask me to review their new Limited Addition product, I had to say yes. Zoflora are favourites with many households across the UK and to celebrate their 90th year as well as the upcoming Jubilee they have introduced a new, limited addition fragrance to their brand. Bluebell Woods is a British flower found in the countryside so you can guarantee to give your home that little extra lift with a light, floral scent of summer. My first target was the bathroom, usually I'm a serial bleacher but I'm pleased to say I am a total convert and now Zoflora is the only brand I shall be using. I used Zoflora neat for my loo and sink and mixed some of the disinfectant into a spray bottle for my kitchen cupboard doors and the tiles around my kitchen and bathroom. I can honestly say that even neat my bathroom smelt light and fresh, much better than the overpowering smell of bleach. All in all a highly recommended product. And because Zoflora is such a well known and recommended product, it has been awarded the Good Housekeeping Institute Approved logo for 2012 by Good Housekeeping Magazine. Hi Michelle, I was really surprised by how nice it smelt to be honest! And the bonus is it being under £2 which i also didn't know until I went into Boots.My home smells lovely!